WHO recently advocated trials and assessment of methods previously thought to be on the border of what was considered “ethical means”, thanks to the Zika outbreak earlier this year. This was in relation to the use of genetically modified mosquitoes to break the chain that has troubled mankind for thousands of years. The boundaries of what is “ethical”, what is “correct” and what is “the right thing to do” have now blurred. The right thing, perhaps, is to be neither a spectator to the devastation caused by nature, nor to needlessly meddle with it; yet take some bold steps when needed. We have the distinction of wiping away hundreds of species of plants and animals off the face of the earth. A natural rate of 1-5 species is considered normal – the background rate. However, we are now losing species directly or indirectly to human activity at over 1000 times the background rate. Around 30% of the known invertebrate of the species evaluated at risk of extinction. And therefore a question that often arises is, why couldn’t we, or rather, why shouldn’t we do it to those delicate looking tiny insects – the mosquitoes? The general nuisance created by swarms of these biting, buzzing creatures is nothing compared to the amount of morbidity and mortality they cause. About 3.2 billion people are at risk of malaria. – This is around half the world population. According to a WHO report (December 2015), there were 214 million estimated cases of malaria in 2015 with 4,38,000 deaths. Similarly mosquitoes transmit dengue, chikungunya and zika. An estimated 5,00,000 people with severe dengue require hospitalization each year worldwide, a large proportion of whom are children. About 2.5% of those affected die. They don’t play such a critical role in the ecosystem that can’t be compensated for either. Some entomologists believe that their role as pollinators and as food for predators can be easily taken over by other insects. Others think their absence would impact the ecosystem significantly, at least for a while. The food for thought is that there are around 3.5K species of mosquitoes and less than 1% of them are vectors for serious human diseases. What harm would selectively eradicating them do? And considering the advances in science, how difficult can it be? The most advocated and the least ecologically damaging method is that of self-protection through use of nets, clothing and repellants. But everyone knows that the benefit is limited. Advanced science is now looking at mosquito traps using agents like carbon dioxide, warmth, odour producing chemicals that mimic mammalian presence to attract and trap mosquitoes. Biological means like the Gambusia species of fish ,dragonflies ,mosquitofish etc also have been tried. Integrated pest management involves use of more than one method depending on the environmental conditions, types and distribution of mosquitoes, seasonality and other factors. All these are applicable for isolated areas for relative control and by no means look at the big picture. Use of pesticides is fraught with its own set of issues including accumulation of the pesticides in human food chain and its adverse effects like nerve disorders, various cancers, endocrine disorders and a long list of relatively minor problems. More sophisticated means now under study have adopted a humane approach rather than charging at them with chemicals. Using lab grown genetically modified mosquitoes to be released in the environment is one method. These transmit their genome to the offspring making them sterile or shortening their lifespan or disrupting the parasite’s cycle inside the mosquitoes. This method can be customized to affect a specific species at a specific point in their genome and therefore can be highly controlled. Then there are ethical borderline concerns like a more dangerous species developing or a cascade of ecologically disruptive consequences. 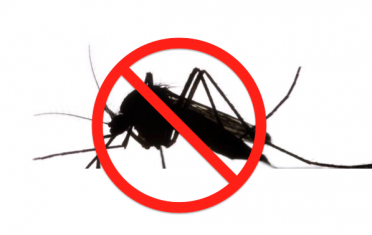 Therefore, for now, while technology is available, we are still struggling with pain, sickness and even death in this longstanding battle against the mosquitoes. This entry was posted	on Thursday, June 16th, 2016 at 5:07 pm	and is filed under Uncategorized. You can follow any responses to this entry through the RSS 2.0 feed. You can leave a response, or trackback from your own site.